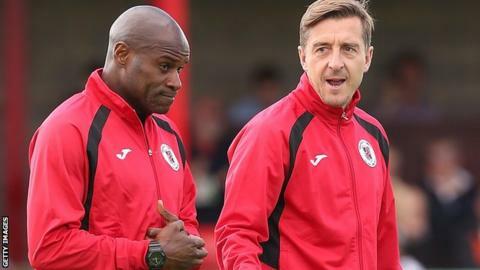 Ex-Chelsea defender Frank Sinclair has been named as caretaker manager of National League North side Brackley. He has taken control following Jon Brady's resignation on Sunday after six and a half years with the club. Sinclair, 43, has been playing for the sixth-tier side since resigning as manager of Colwyn Bay in January. A statement on the club website read: "Frank Sinclair has been appointed to take charge of the first team until a replacement can be found." Brackley are 19th in the table and are away at Stockport on Saturday. Could you beat the robot keeper?